Leisure Systems, Inc. (LSI) has developed an experienced, knowledgeable and creative staff to help grow your business. 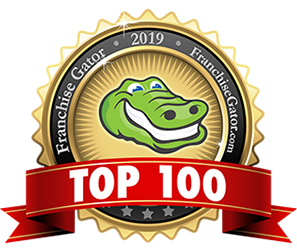 We strive to provide franchisees with the tools and support they need while giving them freedom to remain entrepreneurs. Our staff is a winning combination of individuals, some with over 30 years of individual experience in the outdoor hospitality industry. Among the staff are current and former campground owners, who have walked in your shoes and understand what it takes to operate a campground. Looking toward the future, we have combined this experience with a new generation of people having strengths in retail, marketing and operations. Our franchisees tell us they appreciate this management style. In addition, you can draw on the experience from 80 other Jellystone Park™ operators. 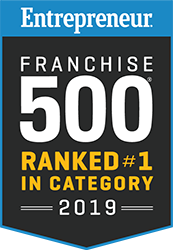 Our franchisees are known for being open and collaborative, not competitive, which gives you the opportunity to discuss new ideas and challenges with peers. Our open environment has always been a cornerstone of the Jellystone Park franchise. Dean is the Executive Vice President of Leisure Systems, the franchisor of the Yogi Bear’s Jellystone Park™ Camp-Resorts and been with the company since 1991. Dean’s prior experience is being employed as General Manager for the Jellystone Park in Traverse City, Michigan from 1980 to 1990. 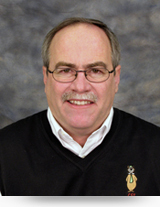 As General Manager, Dean received one of the system’s highest award, “Operator of the Year.” Dean received a Bachelor of Science in Parks and Recreation from Michigan State University and is a lifetime Certified Park Operator. 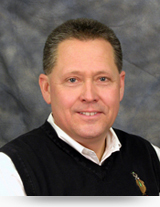 Kelly Jones joined Leisure Systems, Inc. (LSI) in 2007 as the company’s Director of Franchisee Development. Today she is LSI’s Vice President of Operations and oversees the company’s day-to-day management and operational responsibilities including franchisee education, training, and assessments. She also assists LSI’s President in the development of the company’s Federal Disclosure Document and Franchise Agreement and in negotiating franchise renewals with existing franchisees. In addition to her tenure at LSI, Kelly has years of experience in the campground industry as both an owner and as a General Manager. 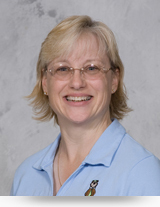 She is a certified Outdoor Hospitality Executive, a Lifetime Certified Park Operator, and a Certified ADA Coordinator. Kelly shares her wealth of knowledge with others by serving as an instructor at multiple National Association of RV Parks & Campgrounds (ARVC) events and conferences. Kelly earned her BA from Bradley University. 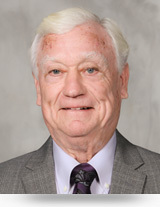 Jim’s responsibilities include assisting in the day-to-day management and operational duties of LSI; developing, managing, organizing and creating programs that advocate the strategic objectives of the franchise system; and assisting the President/COO in the development of the annual Federal Disclosure Document (FDD) and modifications to the Franchise Agreement. 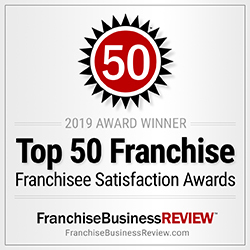 Jim also performs Franchise Assessment Reviews & Recommendations (FARR), and assists the Executive Vice President and the Director of Franchise Development in developing agendas for system-wide franchise meetings. Jim hails from Irwin, Pennsylvania and has an MBA in Management from Seton Hill University and a Bachelor’s in Accounting from California University of PA. His professional background is in operations and finance, having worked at the Bruster’s Ice Cream franchise since 2004, most recently as Regional Vice President of Operations overseeing 60+ stores. Jim joined LSI in 2016. 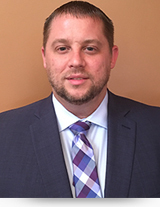 Marley Behnke joined Leisure Systems, Inc. (LSI) in May of 2018 as the company’s Director of Franchisee Education. 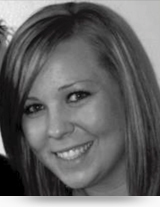 As Director of Franchisee Education, Marley assists all Jellystone Park™ locations with their recreational activities planning and execution and she onboards all new Jellystone Park™ locations as they enter the franchise system. Marley leads LSI’s annual Caring About Recreation and Entertainment (CARE) conference and assists the Vice President of Operations with the planning and management of franchisee educational events such as Symposium and the Certification and Management Program (CAMP). Before joining LSI, Marley spent more than 15 years in the Jellystone Park system as both a park operator and as a franchisee owner. During that time, Marley graduated from the National School of RV and Campground Management. 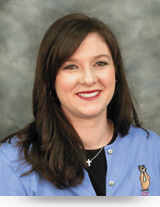 She is currently pursuing a Title III ADA Coordinator Certificate. Marley earned her BA in hospitality, restaurant, and tourism management from the University of Wisconsin-Stout with a focus on resort development and property management. Dan is the Regional Representative for 20 parks throughout the system. He conducts annual assessments and helps parks grow their businesses. Dan is very knowledgeable regarding POS systems. He is also in charge of ordering statues and character costumes as they are needed. Dan is also in charge of organizing the annual trade show during Symposium. Throughout the year, he finds new vendors that can offer great new products to Jellystone Park locations. In addition to being a valuable member of the operations team, Dan also acts as the Warehouse Manager. In that capacity, he oversees all of the warehouse operations and conducts semi-annual inventory audits and maintains quality control. Dan joined Leisure Systems in 2007. 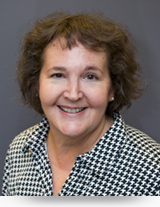 Jane Eaton joined Leisure Systems, Inc. (LSI) in 2010 as Director of Operations. She assists franchisees in a variety of operational issues ranging from reservations processes to daily operational tasks to annual assessments. Jane also acts as the lead LSI contact in the ongoing development of a system-wide reservation and Point of Sale (POS) system. In addition to her tenure at LSI, Jane benefits from a wealth of experience as a Yogi Bear’s Jellystone Park™ Camp-Resort franchisee. She owned a Jellystone Park location in Grand Haven, Michigan for more than nine years and currently owns the Nashville, TN Jellystone Park location. Before entering the camping industry, Jane spent almost two decades as a program manager overseeing software development at Zenith Data Systems, a vendor for the United States Department of Defense. 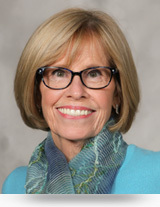 Jane earned her BA in Management at Sienna Heights University. 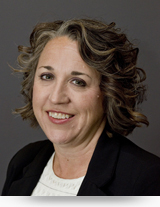 Renata Evans joined Leisure Systems, Inc. (LSI) in 2015. As the company’s Vice President of Retail, Renata oversees the sourcing, development, and purchasing of more than 1,000 licensed souvenir and operational products that are exclusive to Jellystone Park ™ franchisees. She also partners with franchisees to maximize sales at both the individual park and the overall corporate level. Prior to joining LSI, Renata worked for Tommy Hilfiger USA and for Macy’s. At Macy’s, she led the strategy, execution, and selling of a $10 million private label product line across four states. At Tommy Hilfiger, she managed the merchandising of a five-state territory and drove sales in excess of $4 million. Renata earned her BS in Marketing from Wright State University. Mike’s responsibilities include assisting with all outgoing and incoming shipments. This includes resale and operational merchandise items, promotional/Club Yogi™ Rewards, costumes, statues, and other operating items. Mike is the contact person for shipping errors, tracking and damages. He assists the warehouse manager with semi-annual inventory audits and maintains all warehouse organization. Mike started with Leisure Systems January of 2017. 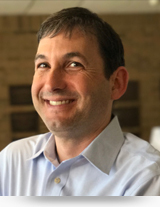 Trent Hershenson joined Leisure Systems, Inc. (LSI) in June of 2018 as the company’s Vice President of Marketing. As Vice President of Marketing, Trent leads the creation, development, and execution of all brand and national marketing strategies and tactics for Yogi Bear’s Jellystone Park™ Camp-Resorts. He also continuously partners with and provides marketing guidance to all of the individual park locations in order to help them maximize the effectiveness and efficiency of their individual marketing efforts. Prior to joining LSI, Trent managed national marketing campaigns for many of the world’s most valuable family entertainment brands. After earning his MBA, Trent joined Warner Home Video and marketed a diverse portfolio of brands including Scooby-Doo, Mary-Kate & Ashley Olsen, Teletubbies, and Marvel Comics and DC Comics animated properties. He then spent several years in the video game industry overseeing the global marketing of Disney and Pixar brands such as Finding Nemo, The Incredibles, Disney Princess, and Power Rangers. Before joining Leisure Systems, Trent also spent several years leading regional marketing initiatives for startup companies such as Wake Nation, non-profit organizations such as the University of Cincinnati Carl H. Lindner College of Business, and billion-dollar firms such as T-Mobile. Trent earned his BA from the University of Miami (FL) and his MBA from the University of Southern California. 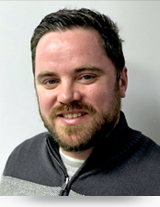 Alex Reed joined Leisure Systems, Inc. (LSI) in April of 2018 as the company’s Marketing Manager. 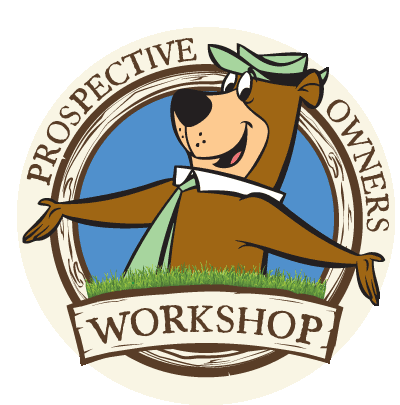 Alex assists the Vice President of Marketing in the creation, development and execution of all national marketing strategies and tactics for Yogi Bear’s Jellystone Park™ Camp-Resorts. He also leads many of the company’s social media marketing efforts and acts as a key contact for Warner Bros. regarding the approval of both national and park-specific Jellystone Park marketing materials. Prior to joining LSI, Alex assisted The Kroger Company’s corporate brands division with the execution of their marketing promotions as a third-party vendor. Before that, he spent four years at the Southwest Ohio Regional Transit Authority developing marketing initiatives to promote the benefits of public transportation to local communities. Alex’s marketing experiences range from content creation and website management to social media marketing to project management of large-scale integrated marketing campaigns. 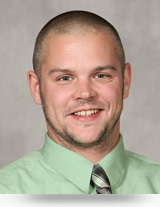 Alex earned his BA from Xavier University in Cincinnati, Ohio. 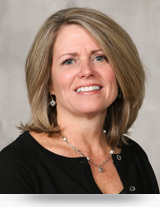 Lauri Hart joined Leisure Systems, Inc. (LSI) in 2011 as the Loyalty Program Manager for Club Yogi™ Rewards, the company’s consumer loyalty program. Lauri oversees the marketing communications sent to members, the program training provided to franchisees, and the program’s customer service team. She also develops third-party partnerships into order to expand program benefits for members to drive increased program participation and engagement. Prior to joining LSI, Lauri managed a business-to-business loyalty program for Verizon and a co-branded loyalty program for Macy’s. She also worked as a senior account executive for HSR, an advertising agency. In addition to her decades of marketing experience, Lauri is a Certified Loyalty Marketing Professional. Lauri earned her BBA in marketing and management from the University of Cincinnati. 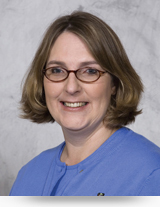 Myra Jimison joined Leisure Systems, Inc. (LSI) in 2012. As the company’s Accounting Manager, Myra monitors and analyzes LSI’s accounting data and produces its monthly and annual financial statements. She also coordinates the budgeting process, aids in audit preparations, and oversees the day-to-day operations of the accounting department. Prior to joining LSI, Myra spent 11 years in the manufacturing industry handling the accounting responsibilities for a variety of privately owned firms. Myra earned a BA in accounting with a minor in management from Indiana Wesleyan University. 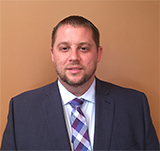 Wesley Lukemire joined Leisure Systems, Inc. in October 2017. 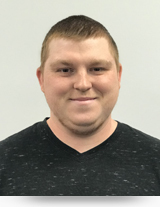 As a Staff Accountant, Wesley is responsible for the daily processing of accounts receivable and accounts payable functions. He also reviews the financial reports of each Jellystone Park™ location and correspondences with franchisees as needed. 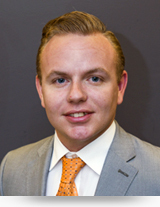 Wesley earned his BBA in finance from the University of Cincinnati. Mary Beth performs a variety of accounting tasks to assist the Controller and Staff Accountant such as processing and reconciling accounting documents which includes invoicing, departmental billing, employee reimbursements, cash receipts and vendor statements. 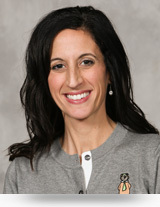 Stephanie Sears joined Leisure Systems, Inc. (LSI) in 1999. Over the past two decades, she has served the company in a variety of capacities. Today, she is the Executive Assistant for LSI’s President/COO and she manages the company’s customer care department. In addition to her primary responsibilities, Stephanie also provides administrative support to the entire LSI leadership team ranging from assisting with the organization of franchisee educational events to preparing legal franchising documents to managing items in the Warner Bros. approval process. Prior to joining LSI, Stephanie worked in a variety of establishments ranging from retailers to restaurants to non-profit institutions. Jennifer Ocilka joined the team in August 2016, and has spent the last 10 years working in human resources in for-profit and non-profit companies. She earned her master’s degree in Human Resource Management with a specialization in Organizational Development. 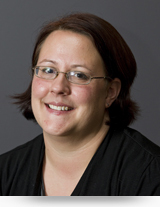 She is a member of the Society for Human Resource Management and the Greater Cincinnati Chapter of Human Resources. Responsibilities include overseeing the Jellystone Park in Bloomington, IN and conducting annual Franchise Reviews and Recommendations for various locations. Margie and Maurice owned and operated the Jellystone Park in Natural Bridge, VA for more than 10 years and are Certified Park Operators. Maurice, a graduate of Michigan State University, had a long, successful career with Raytheon and 30 years with Ethan Allen, Inc. Margie attended Berkeley School of Interior Design, and worked in product development and customer service in the lighting industry prior to purchasing the campground.